What if all the luminous autumn leaves were one color, or every food tasted the same? What if we all had to drive the same exact car or live in the same cookie-cutter house filled with an identical allotment of furnishing? What if we all had the same color skin, hair, smile, personality, passion? Wouldn’t life be boring? It’s so easy to get stuck in a rut of mindless perceptions and attitudes. My prayer is to be a person who will throw out judgement and stay open-hearted. Not in a way that disables me from ever taking a stand if the moment arises, yet in a way that allows me to love and experience life to my greatest capacity, free from mindsets that would hold me back. I try to walk into every situation as a student of life, always learning, never the master. For me, humility unlocks the beauty of diversity. Baby steps… We can start with what we put in our mouths. If you are in a rut of: spaghetti, baked chicken, meatloaf, tacos and pizza over and over, why not throw a little Indian flair into the mix? Indian cuisine is one of those areas where people are often closed-minded. Sadly, they ate at a second-rate Indian lunch buffet years ago, and have crossed it off the list forever. 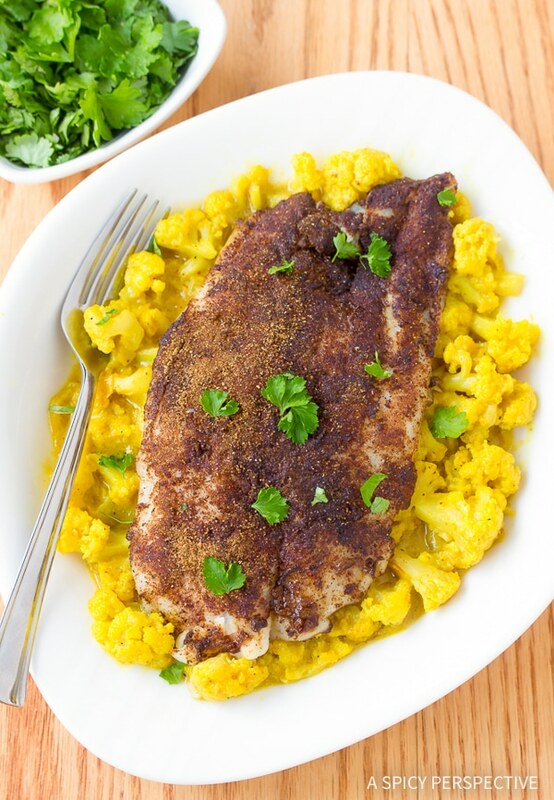 This Roasted Indian Fish and Creamy Curried Cauliflower is a diverse array of flavor, texture, and color. 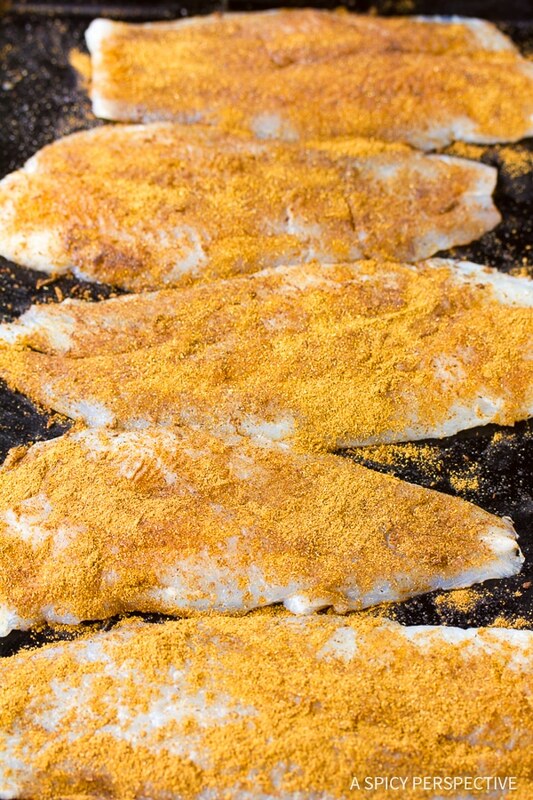 The Indian spiced fish is dusted with coarsely ground Garam Masala and roasted under high heat for just a few minutes. I used Swai fillets because they are inexpensive, eco-freindly and very mild in flavor. 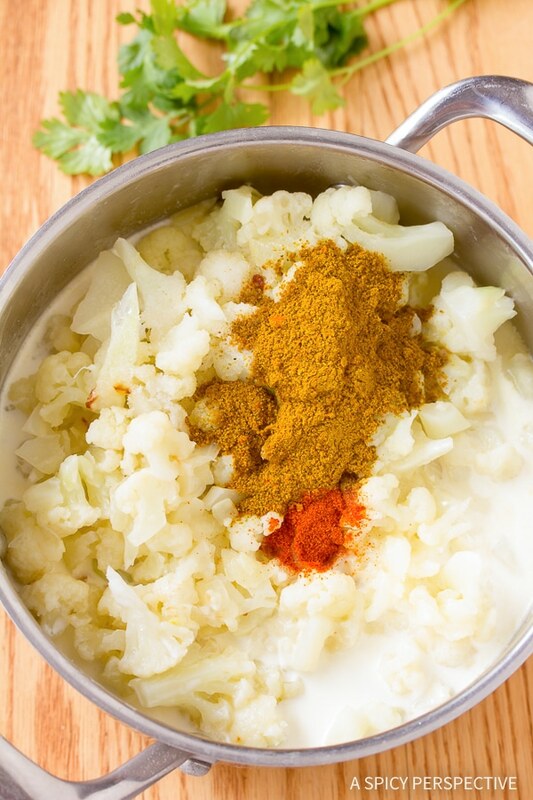 The creamy curried cauliflower is simmered with Madras curry powder, apricot preserve. and cream. It’s a silky, sweet and spicy bed for the roasted Indian fish, that also doubles as a sauce. This vibrant combination of Indian flavors will surely open your mind to new possibilities! 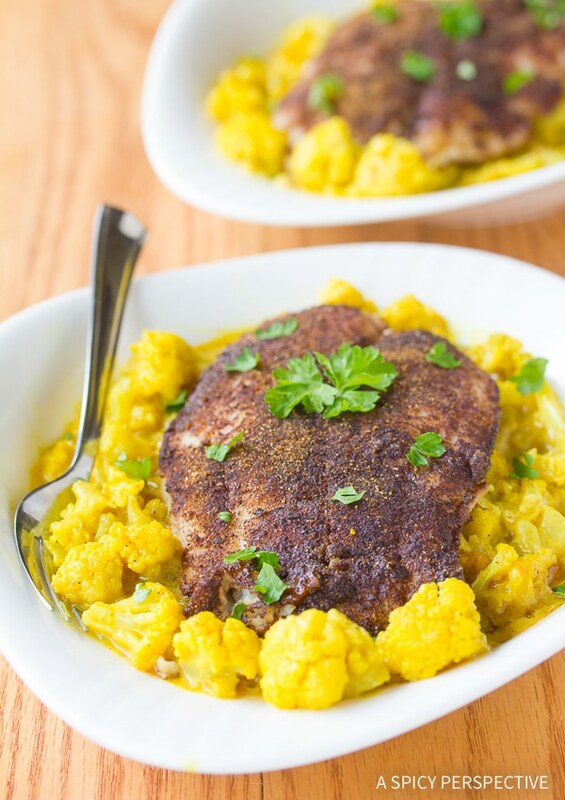 Roasted Indian Fish and Creamy Curried Cauliflower Recipe - A low-carb dinner idea with exotic spices and silky cauliflower curry! Preheat the oven to 400 degrees F. Pat the fish fillets dry, then drizzle with oil. Flip the fillets to coat in oil. Sprinkle the fillets with salt and pepper, followed by the Garam Masala on both sides. 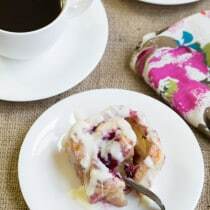 Place on a rimmed baking sheet and set aside. Place a large saucepot over medium heat. Add the butter and flour. Whisk and cook 1-2 minutes. Add the onions. Sauté another 2-3 minutes, then add the garlic and sauté one more minute. Pour the chicken stock into the pot followed by the cauliflower florets. Cover and steam 5-10—until the florets are slightly tender. Put the fish fillets in the oven and roast for 10 minutes, 15 minutes for thicker fillets. *The fish should flake off when touched with a fork if cooked through. Add the curry powder, cream, apricot preserve, cayenne and 1 teaspoon salt to the cauliflower. Stir and simmer another 10 minutes. Once the sauce has thickened, salt and pepper to taste. 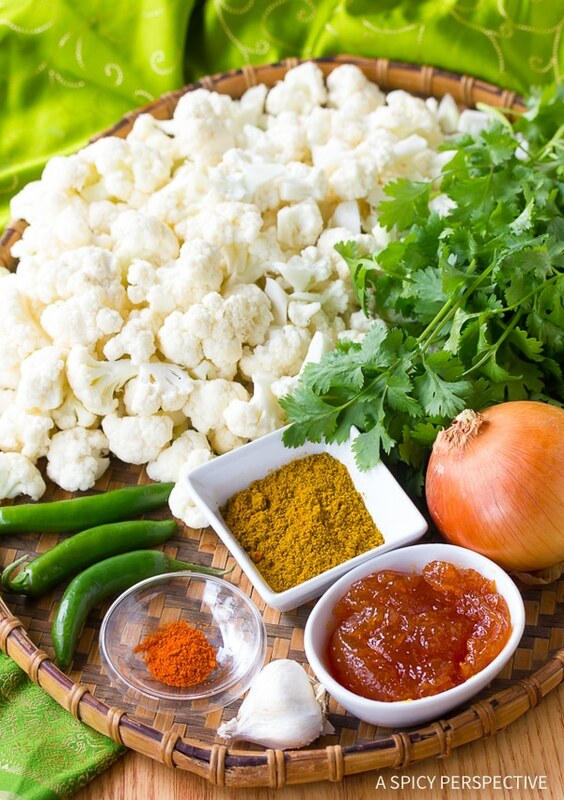 To Plate: Spoon the curried cauliflower into a bowl and garnish with chopped cilantro. Place a fish fillet on top. Serve warm. Villeroy & Boch “Boston” stemware: in the cabinett. Garam Masala: in the spice rack. cauliflower: in the garden. Guess I am well prepared for this one, looks just delicious. Love what you have done here – just fabulous! 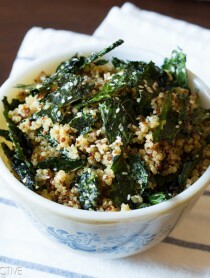 Love this recipe and the puree cauliflower-Awesome! The food looks delish and I love your blue goblet! Do you mind if I ask where that’s from???? What a great post. Not only did you share something that is so important to our emotional/spiritual well-being, but you shared a delicious recipe too. I can’t wait to make this. Thanks for sharing. I hope you are having a wonderful day! I’m always discovering new dish that looks so good on your blog. That looks so fantastic. Great post. Thank you once again. Beautiful- aromatic and delicious combination, Sommer! I love those curried cauliflowers…I’m drooling :) Have a wonderful week! Reading your blog reminded me of the poem “Desiderata”. I definitely agree with you. Sometimes we spend too much time comparing ourselves with other people that we lose track of the basics, the essentials. Let us go back to the basics : food, family, love…good food. Your recipe is amazing, by the way! Thanks for sharing! What a tasty plate of fine foods! I love all of these tasty flavours beautifully combined in this lovely & warm dsih! Beautiful and flavorful plate! The curried cauliflower sounds like a winner to me. Bookmarking it. Heavenly! I seriously could eat this every day! I love this post too Sommer. I cannot tell you how much I agree with you on how judgemental people can be sometimes. I’m so glad to have found my boyfriend who shares not just my passions, but my ideas about keeping our minds as open as possible. I’ve had people blatantly judge my life decisions, just because I’ve gone about differently – travelled and lived abroad instead of settling down right away, working in alternative industries, etc. Oh well! Now, on to the fish – it looks spectacular! I used to cook with tilapia frequently, but it’s not as abundant here as it was in the US. I’ll have a good peek around for other subtle white fish. I try to cook Indian food once a week at my house. Such an interesting deviation from the norm. Usually, I roast cauliflower with olive oil, salt, pepper and cumin seeds. This creamy version sounds delicious too! Like! Like! Like! 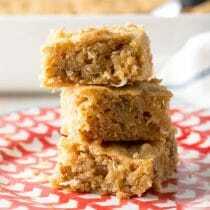 –saving this recipe to make another day. It looks so delicious and loaded with flavours! I love especially the curried cauliflowers. As they say, “variety is the spice of life” and I think this crosses over to so many parts of life. 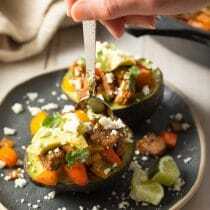 My favorite, of course, would be food and this dish looks like a great way to introduce a little variety. I am a huge fan of Indian food! This sounds like a nice combination, love the idea of curried cauliflower. Your photos are gorgeous! That red fabric is amazing! I have three fresh fish filets in my freezer (thanks to a recent fishing trip my husband went on). I had been lacking inspiration but now I know how one of them is going to end up. Just wonderful! Um, yes. This dish is giving me bedroom eyes and I’m NOT GONNA IGNORE IT. 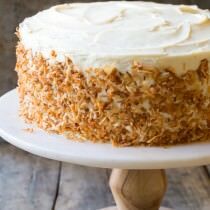 This looks absolutely delicious!!! 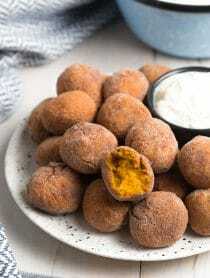 Gorgeous photos and I love the spice combo you used. Perfect! 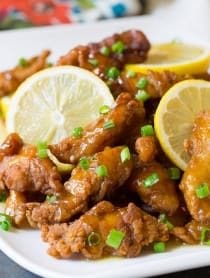 My husband LOVES cauliflower and I’m always looking for new fish recipes. Thanks for sharing. Bookmarked! This looks fantastic, Sommer. I love Indian foods of all kinds. And I think trying new foods leads us to be more accepting of other cultures too! I was at the grocery store yesterday and they had tilapia on sale. Now I wish I had bought some. 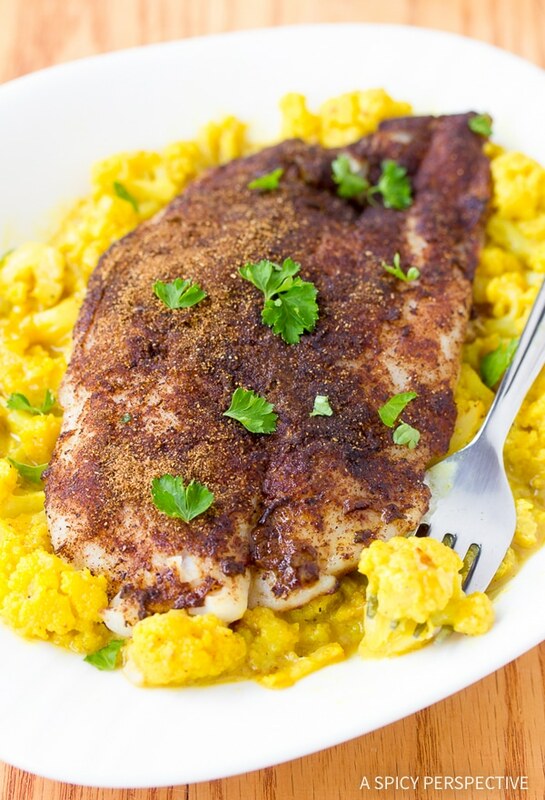 I adore garam masala and would love the fish over that amazing sounding (and looking) curried cauliflower, which just happens to be one of my favorite vegetables. That cauliflower sounds wonderful. Another bookmarked. Good point, and well put! Indian food is one I tend to avoid because I always assume it’s going to be too spicy hot for me. (I’m kind of a wimp like that). But I’ve found that to not be true. This looks so tasty! LOVE Indian food…no need to convince me that this is amazing! Love the idea of the cauliflower puree under the fish.